Denzel cooks his Kayihura meal. 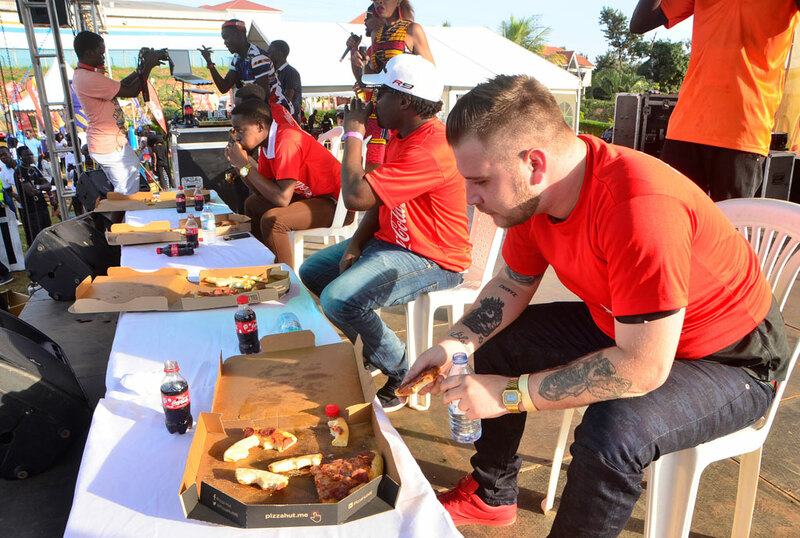 Three months ago, the organizers of the annual Tokosa food festival held a press conference at Hilltop Naguru and promised that this year’s edition will not only change venue but will bring on board new experiences that will leave the crowds excited. That’s exactly what happened at the fourth edition that happened on Sunday. From the Rugby grounds, the event shifted to UMA show grounds which, despite being a small venue compared to the previous edition, offered so much. Food stalls were many this time round and so where the activities that involved the crowd. This time round, there were eating competitions which were the biggest activity to the revelers. Four competitors were all supposed to munch a giant pizza with rules coming in from the emcees, Mckenzie, Salvado and Deedan. They were told to dance and on other occasions told to do pushups to digest the Pizzas. The winners were given different prizes. Sheebah performs at the Tokosa Food Festival. 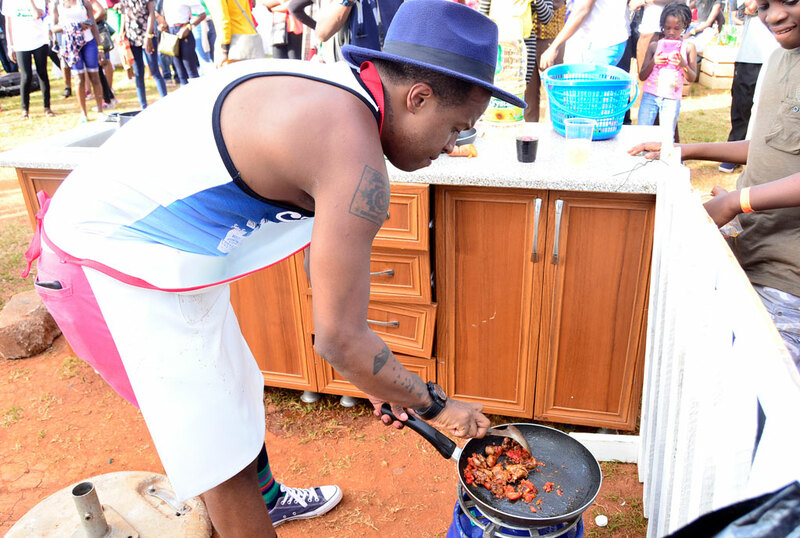 Cooking competitions also took centre stage with competition coming in mostly from the celebrities and bachelors. 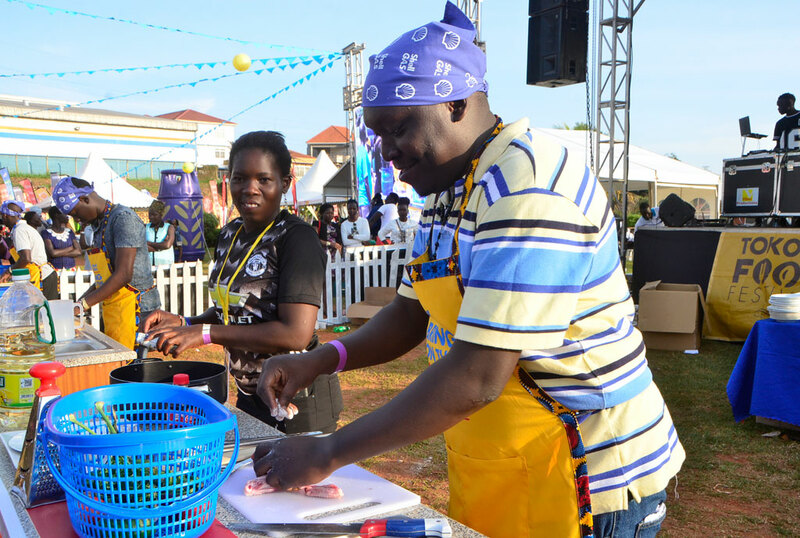 NTV’s Andrew Kyamagero tussled it out with Sheila Salt of Magic HD and former Big brother house representative Denzel against Kabs Haloha in the celebrity cook off. They each made a meal of their own choice and gave it their preferred name. After some explaining to the judges on how they prepared it and how it tasted, Denzel emerged the winner with his ‘Kayihura’ meal, followed by Sheila, Kyamagero and Kabs coming last. Sheebah was this time the entertainer of the day as she performed songs such as Mummy yo, Beera nange, John Rambo and Tunye among others.